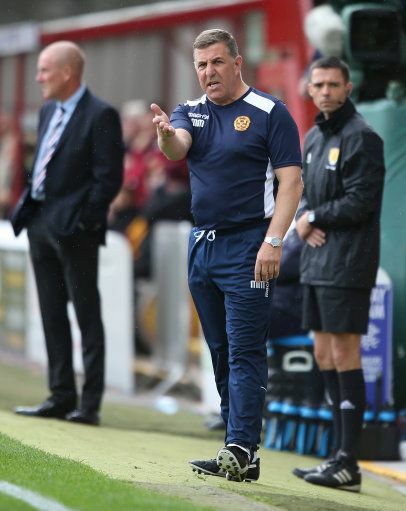 Motherwell and Rangers will meet for the fourth time this season at Fir Park on Saturday. After last week's cup disappointment we'll take some comfort with three league points. The sad tale of the earlier meetings reveals three wins (2-0,2-1, 2-1) in three different competitions for the visitors. What is not apparent from the final results is that Motherwell had the lead well into the second half in the last two clashes and in each case a very late strike from Miller robbed us of a share. It must have taken several days for the team to recover from the manner of the cup exit but the players are, unfortunately, not unfamiliar with the need to shake off a bad result and we can expect a well motivated eleven to be ready to go when the 1230 whistle blows. If the manager adopts a more aggressive strategy than was evident at Ibrox he may bring McDonald back to the starting line-up. Some reports suggested that an injured shoulder was the reason for his place on the bench while others hinted that the interest from Western Sydney Warriors has caused some dissent. Lucas will complete his two match suspension. Rangers will be in third place as the game starts if Aberdeen win their Friday night match and that could give Warburton’s men an extra incentive to push forward. They have a large squad and their team changes most weeks but our defence will expect that containing Miller will be a priority. Motherwell have come within minutes of taking a positive result in the last two meetings at Ibrox. This time, with home advantage, we should be capable of taking three points. We can be backed at 9/2 or better and those odds must tempt a few claret and amber fans to rick a fiver of a home win. 2-1 will do nicely.